Summer is here and we have a good news for you! Yes “Second Shot Vouchers” for Microsoft certifications. Take any IT Professional, Developer, or Business Management (Dynamics) Certification exam and get a FREE retake if you fail. Customers must take their first exam and (if necessary) their retake exam before June 30, 2010. To request for voucher, please read the blog post on Emerging .NET Devs site. You can also join Facebook Page of “Emerging .NET Devs” to get future updates! 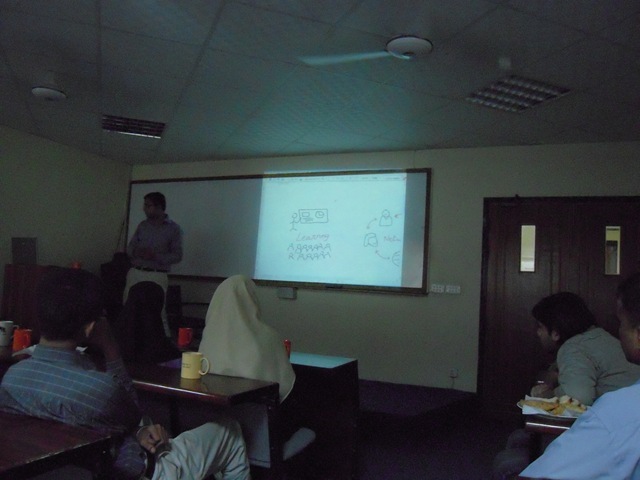 I participated as speaker along with Munir Usman (MVP) in Emerging .NET Devs – October UG Meeting on LINQ. I was excited as I was speaking after couple of months 🙂 The event was organized by Emerging .NET Devs. We tried to make the event as interactive as possible. The style of discussion was comparison between approaches before and after LINQ and how LINQ makes life of programmer easy and increase productivity. For more details about the events, please visit Emerging .NET Devs – Oct UG Meeting Summary. Also, those who attended the show, please provide feedback about the event here. Thank you everyone for attending the show. For details about the event, please visit the Emerging .NET Devs blog here. As many of you know that I’m leading INETA User Group, “Emerging .NET Devs” and I was quite busy and active in arranging events, meetings, communicating with sponsors, and prizes or giveaways for the members on behalf of User Group. Yes the User Group is growing day by day and I got appreciation from many fellows and it’s going quite successful. Though Emerging .NET Devs is really emerging day by day, we have now around 75+ members on Facebook but DevNext is really a big group having hundreds of members having bigger scope than Emerging .NET Devs. You can directly read the announcement from Ali here. Hopefully it will be fun leading TWO User Groups and I look forward to meet all the volunteers of DevNext and Emerging .NET Devs for collaboration and organizing events keeping our vision in mind. 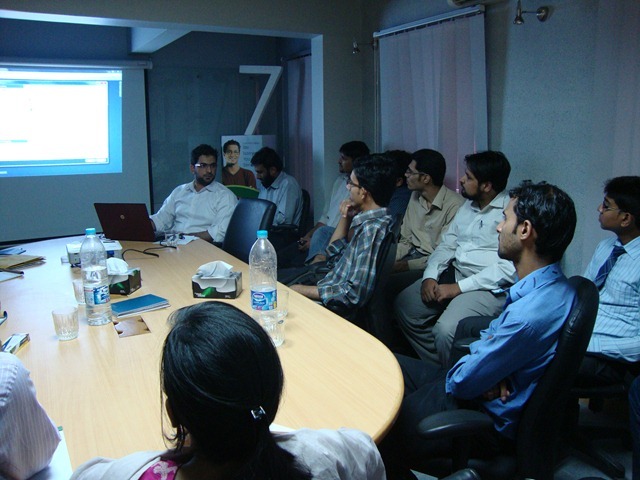 In July, Emerging .NET Devs is planning to organize some workshops at different universities in Karachi to enable students to get familiar with current technologies in the software development industry such as C#, ASP.NET, Design Patterns. For this purpose, I thought that MSPs are really a point of contact for the universities and us. The session last around 1 hour followed by Q&A. The MSPs showed their interest by raising their points of concern and suggestions. I’m looking forward for further collaboration with MSPs. In the continuous effort to support the developers’ community, Emerging .NET Devs is now offering coupons to register for Microsoft Certification exams at Prometric absolutely FREE. Each member will be awarded only ONE coupon at maximum. There are limited number of coupons, so they will be served on first come first serve basis. So HURRY UP and get your FREE coupon. For details, please click here. Emerging .NET Devs is a registered user group under International .NET Association (INETA). The group is committed to a vision of disseminating information through lectures in events, sessions and to enable the developer community to collaborate with each other. Are you a developer? Are you passionate about technology? Do you want to grasp the Ins-and-Outs of the .Net Platform? Then this is right place for you. Join us on Facebook and/or Yahoo Group to participate further! Emerging .NET Devs is sponsored by many organizations such as Microsoft, INETA, Pearson, and O’Reilly etc. Visit our user group blog at http://edotnetdevs.wordpress.com to get updates about latest events, meetings, benefits and announcements. Step in to gear up with .Net Platform! 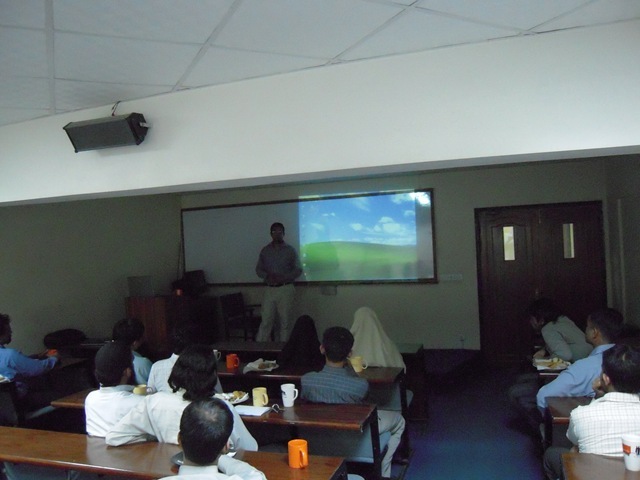 I recently gave an Introductory session on Windows Communication Foundation at Microsoft Innovation Center, Karachi – Pakistan (20th Mar’ 09). The session was followed by Q & A in which audience were very keen to ask question related to migration from ASMX to WCF. 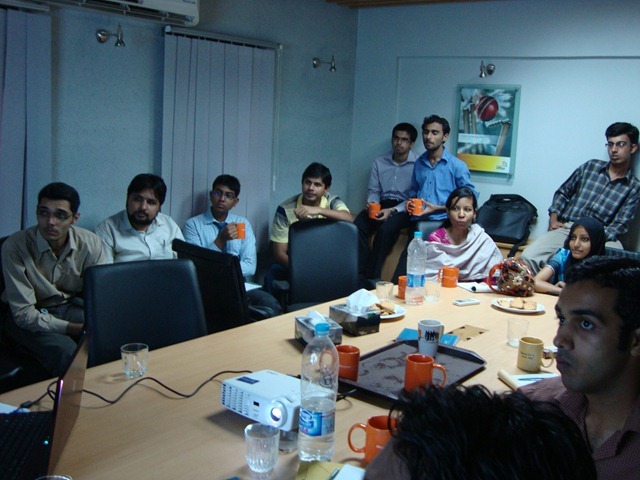 I shared some of my experience using WCF services with the audience as well. In collaboration with Microsoft Community Partner, We are soon going to announce another session on “Exploring WCF Features” in which we will see the demo of some features that ship with WCF. I would like to thank all the participants for their valuable time and interest.